September 13, 1933 was “NRA Day”, celebrated in New York City with one of, if not the largest parade in the city’s history, complete with an appearance by the U.S. Navy’s airship U.S.S. Macon. With today’s politics, hearing of the NRA brings to mind the National Rifle Association, but in days of yore, it held an entirely different meaning. In the 1930s, the abbreviation referred to the National Recovery Administration. That NRA was one of President Franklin D. Roosevelt’s earliest New Deal agencies, created in 1933 by the National Industrial Recovery Act (NIRA). With its signature “Blue Eagle” as the logo, the NRA set forth a series of codes and regulations intended to help employ more people and get the economy back on its feet. Though popular with many workers, the NRA was ruled unconstitutional by Supreme Court, thus bringing it to an end in May of 1935. During its existence from 1933 to 1935, NRA Blue Eagles were displayed in store windows and emblazoned on all sorts of consumer products, ranging from garments to fruit crates to record sleeves. 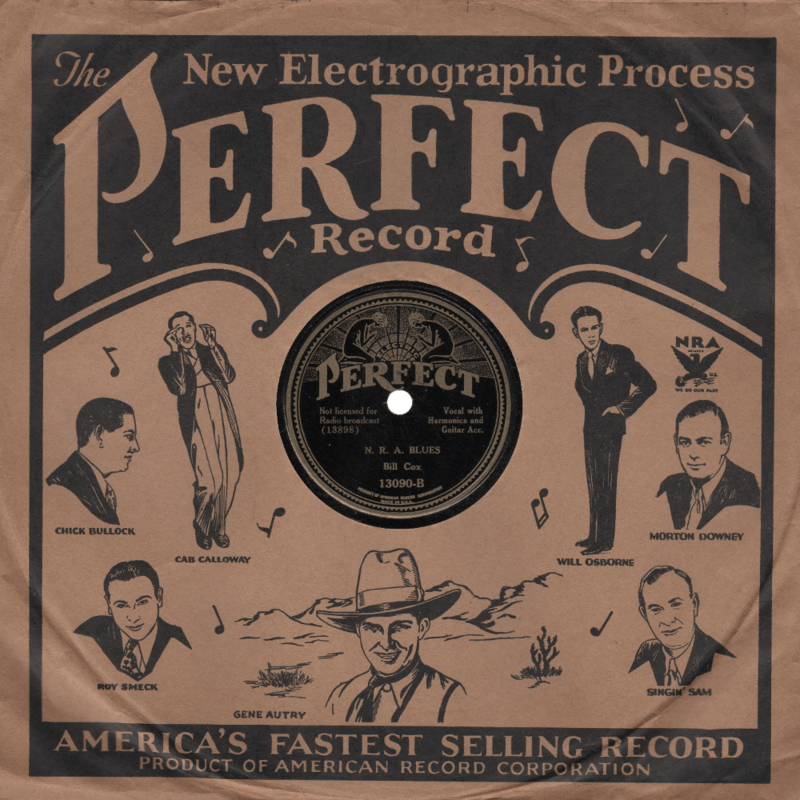 Perfect 13090 was recorded in two separate sessions on August 30, 1933 and September 9, 1934 at the American Record Corporation studios in New York City. 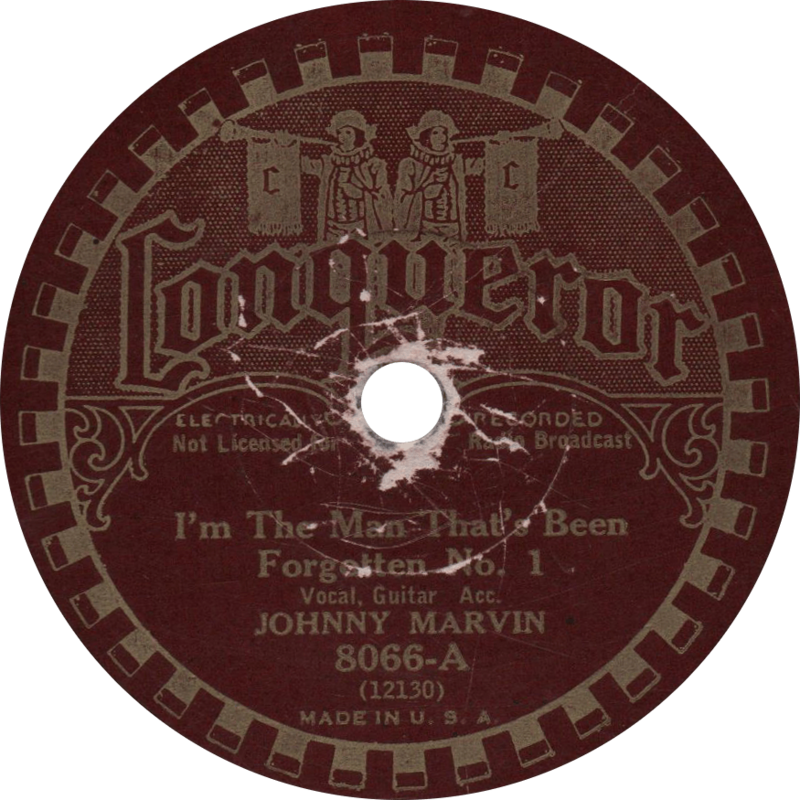 The former session was Cox’s first with the ARC, having recorded previously with the Starr Piano Company (Gennett). Interestingly for a black label Perfect, this is a laminated pressing. 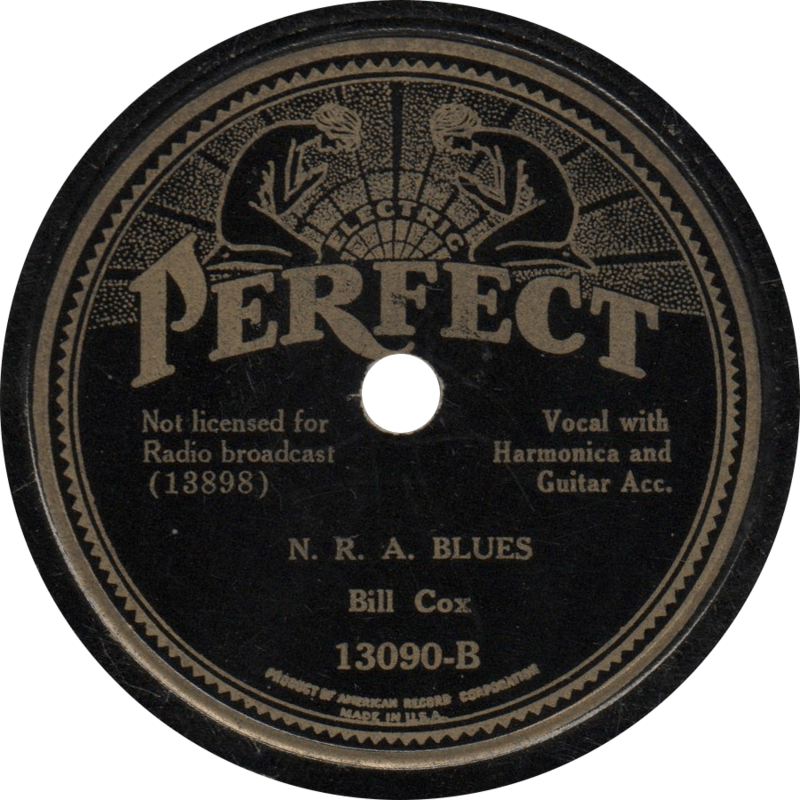 N. R. A. Blues, recorded August 30, 1933 by Bill Cox. 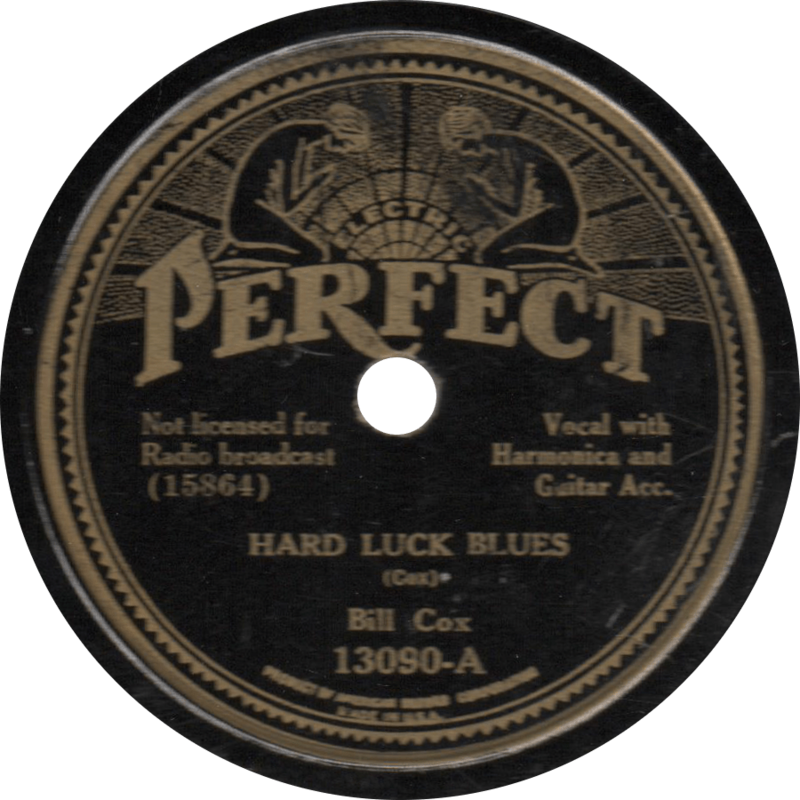 Starting out with a little bit of the old “Jack o’ Diamonds”, on the flip, Cox sings a low down old time country blues tune, “Hard Luck Blues”, sounding a bit like Jimmie Rodgers in his vocals on this side. 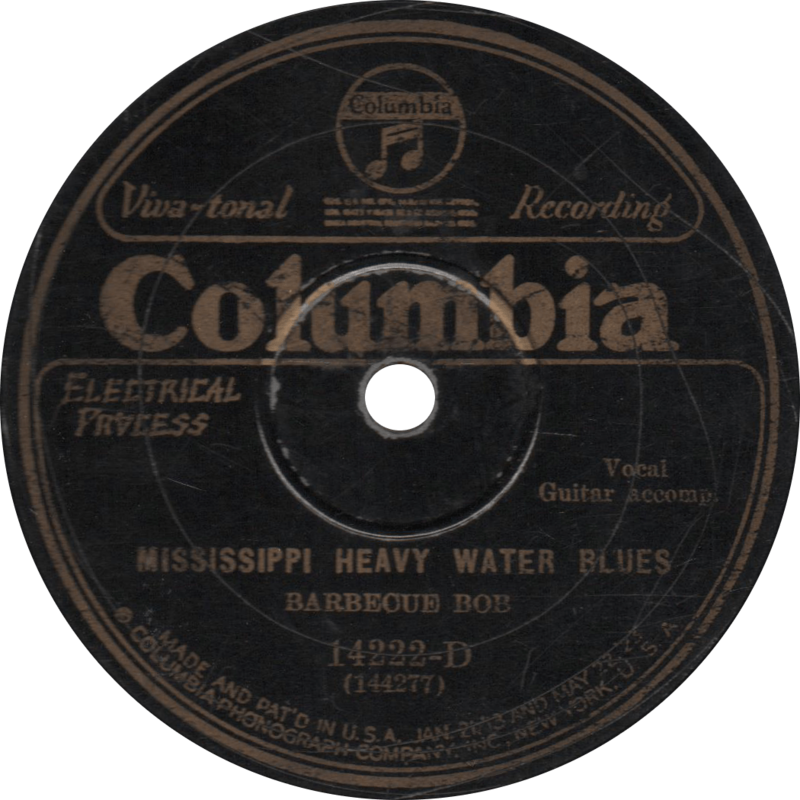 A Great Depression-era country tune evocative of Dust Bowl times. 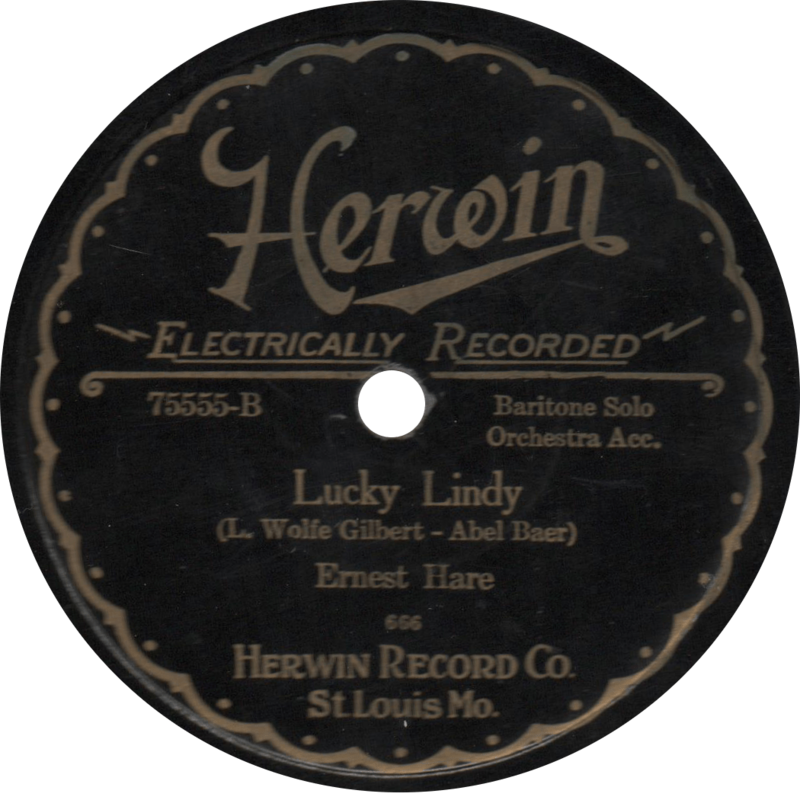 Hard Luck Blues, recorded September 4, 1934 by Bill Cox. Updated with improved audio on June 23, 2017. 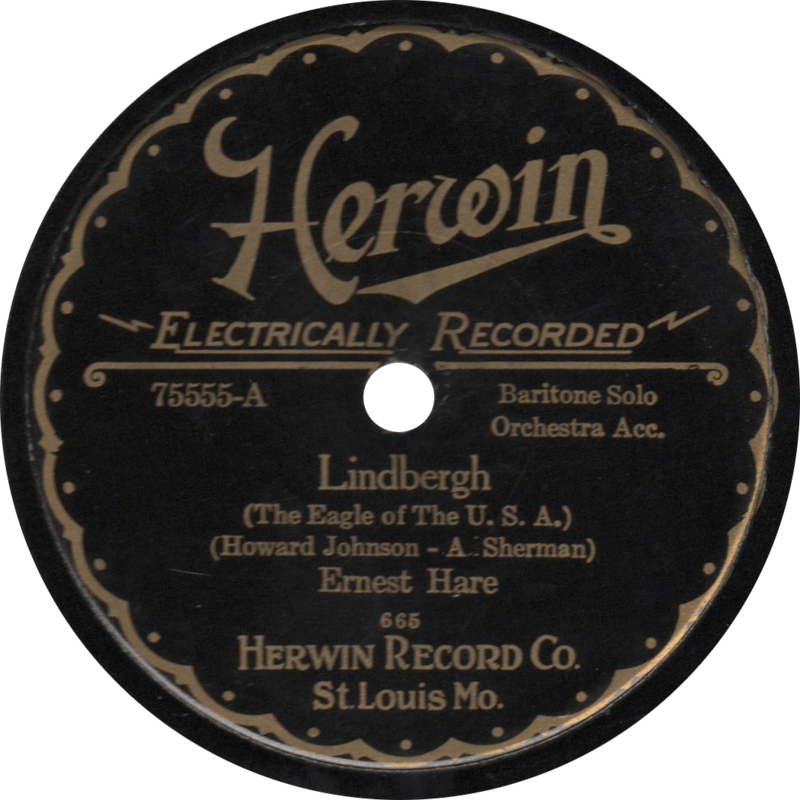 Victor 19779 was recorded September 9, 1925 in New York by Vernon Dalhart, accompanied on guitar by Carson Robison and violin by Lou Raderman. 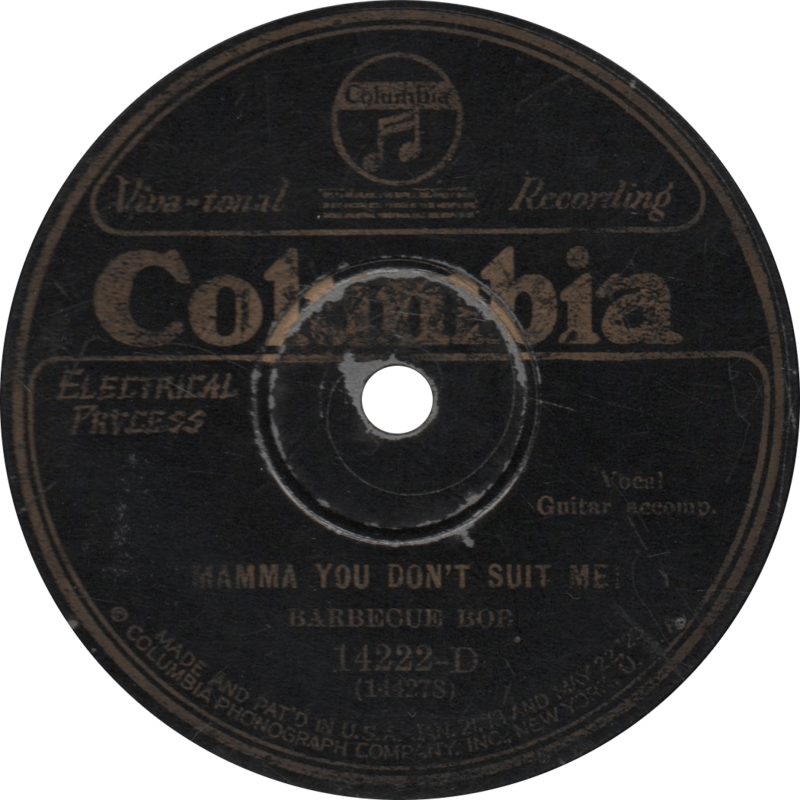 This issue was pulled from the Victor catalog several weeks after it was issued following complaints that Victor was profiting from the USS Shenandoah disaster, “Floyd Collins” was reissued on number 19821 the following month, paired with a different flip-side; apparently no one had a problem with profiting off Floyd Collins’ death. 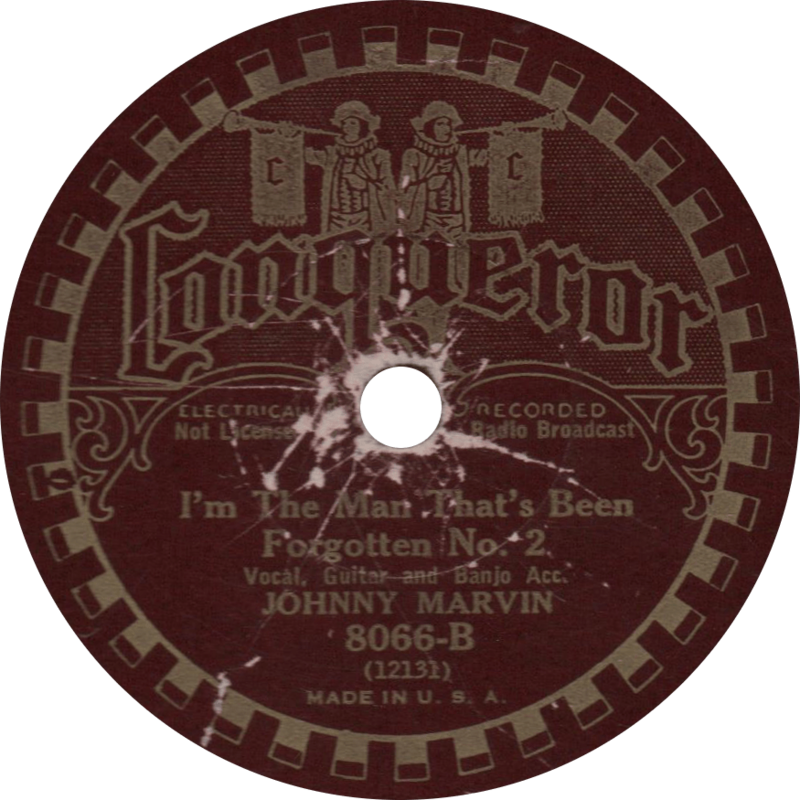 On what was actually intended as the “B” side of this disc, but served as the “A” on the reissue, Vernon Dalhart sings Rev. 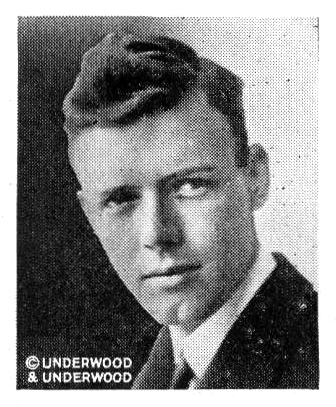 Andrew Jenkins famous tribute, “Death of Floyd Collins”. 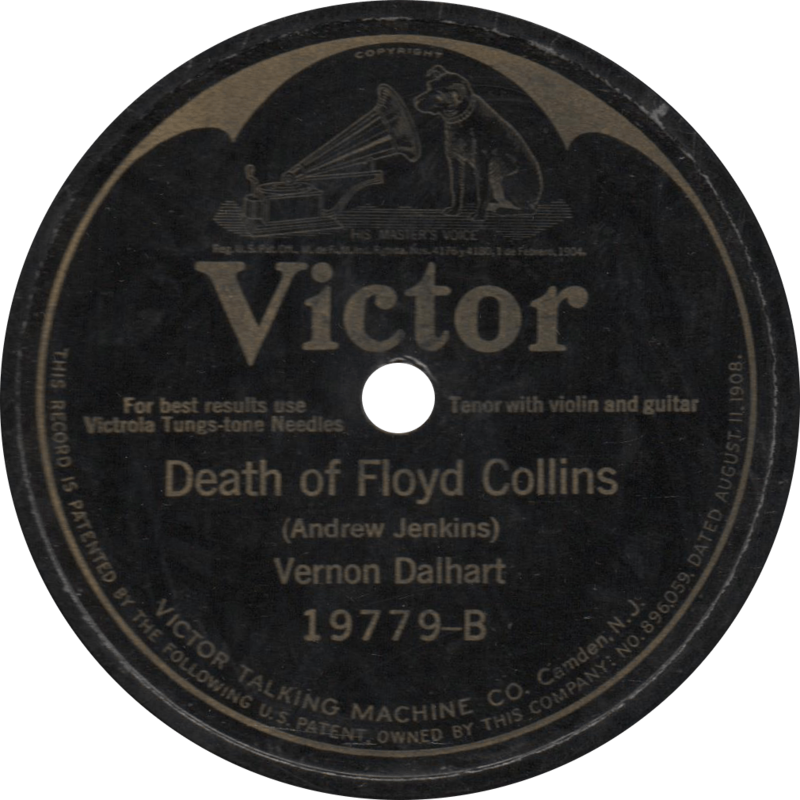 Death of Floyd Collins, recorded September 9, 1925 by Vernon Dalhart. The flip-side, “Wreck of the Shenandoah”, refers to another major event that occurred in 1925, the crash of the USS Shenandoah, a US Navy airship (from those amazing science fiction-esque days when the Navy took to the sky). After embarking on a promotional tour of the Midwest, the airship crashed during a storm in Noble County, Ohio on September 3, 1925. Songwriter Maggie Andrews is, in fact, a pseudonymous Carson J. Robison. 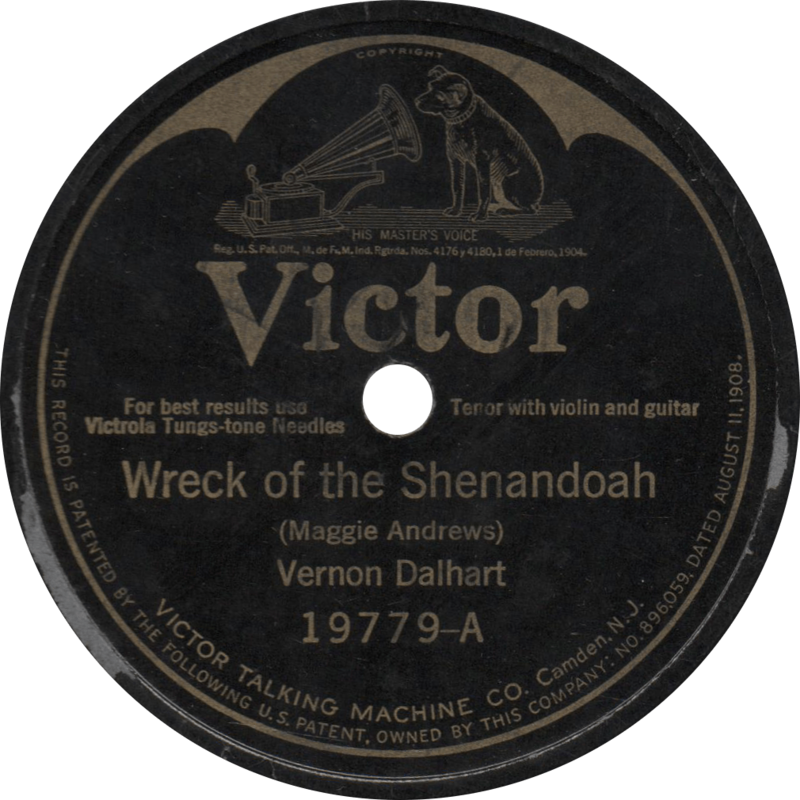 Wreck of the Shenandoah, recorded September 9, 1925.